Observation - More puffin deaths - UK and Ireland. Description: Apologies for this. Sadly, I came across five more dead puffins this afternoon on Aberlady sands. Apologies for this. 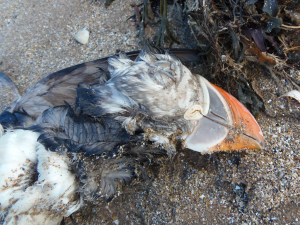 Sadly, I came across five more dead puffins this afternoon on Aberlady sands.